So you are considering the purchase of a home! Not a decision to be taken lightly but one that offers an investment in your future, tax savings, personal satisfaction and a sense of community. For most Americans this is the single most important personal and financial decision you will make in your lifetime. Your home is so much more than an architectural structure or an “improvement” to quote a frequently used real estate term. It is extension of you and your family and buying a home can be both an emotional and an intimidating experience. This online guide is provided as a template to help you transition from the emotional decision to the pragmatic and objective planning phase. The six major steps in the buying process namely 1) Understanding Your Goals 2) Determining What You Can Afford 3) House Hunting 4) Submitting an Offer 5) Post Ratification Action Items and 6) Closing the Deal will be addressed in this guide. Purchasing a home is a valued investment which can have many financial advantages. Generally homes appreciate in value which means each monthly payment you make is an investment in your future. But even if the home doesn’t appreciate (rare but it is dependent on length of ownership and market dynamics) you will benefit from tax benefits (you can deduct both the interest on home mortgage payments as well as the cost of property taxes). Making payments toward a mortgage is an excellent way to establish a good credit rating. For many the knowing that you are free to decorate, keep pets, paint etc. is the most satisfying element of home ownership. 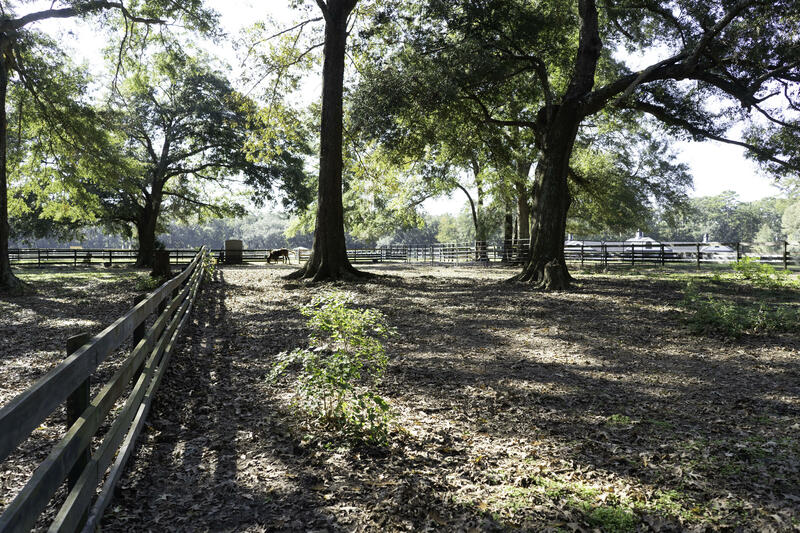 A special sense of security and satisfaction comes from being able to put down roots in a neighborhood. But before you take the Homeownership plunge you must understand your current financial position. You must consider how long you intend to live in the home and in our current economic market it is advised that you carefully consider your job security. Before initiating the home buying process you must examine your assets, liabilities and get a handle on your monthly expenses. You will want to consider all sources of income, housing expenses, current loans, cost of health care, transportation, childcare, food and entertainment. In general terms to qualify for a conventional mortgage, your total monthly housing cost (includes principal, interest, taxes and insurance – PITI) should not exceed 28% of your monthly income. For example: 28% of a $3,600 gross monthly income would qualify a buyer for a $1,108 per month payment. This is a general rule of thumb and exceptions do exist which is why you must speak with a mortgage professional. Credit Scores are more important than ever in determining your "lending risk" and in some cases you may need to repair your credit prior to qualifying for a mortgage. To access a Free Copy of your Credit Report please visit www.annualcreditreport.com – the ONLY authorized online source for you to get a free credit report under federal law. You can get a free report from each of the three national credit reporting companies every 12 months. Some other sites claim to offer "free" credit reports, but may charge you for another product if you accept a "free" report. When we're ready to make an offer on a property, a pre-qualification letter from the lender is necessary to accompany it. Therefore, it's important to start this process first, sometimes even before looking at properties. A second benefit is that the buyer will know beforehand exactly what they're qualified to buy, what issues might need to be addressed, items might be needed to be ready when applying for the loan, etc. To understand the cost of a home you must understand how it is financed. There are three critical components that impact the cost of a mortgage: 1) Down Payment 2) Closing Costs and 3) The Mortgage. When you know the amount of down payment, closing costs and monthly mortgage payments you can afford, you can better determine how much home you can afford. Typical closing costs may include the following items. Your lender will provide a Good Faith Estimate which will show you these estimated charges by the line item. Your REALTOR should also be prepared to review these items with you if desired. The principal amount of the mortgage, interest rate, property taxes and homeowner’s insurance will determine the amount of your monthly payments and is commonly referred to as PITI. To calculate your estimated monthly payment just click here on Mortgage Calculator. Geography – What area in the Tri-County – Berkeley, Charleston, and Dorchester counties do I want to call home? What will be the commuting distance to work – to my children’s school? Neighborhood – Do I want an older established community or a new construction neighborhood? How important are amenities to me and my family i.e., pool, play park, golf etc. Styles of Homes – How much space will you need? Do you prefer to have all bedrooms upstairs? Do you only want to consider 1-story dwellings? How about a townhome? Do you like to do yard work or is a low maintenance condo best for your lifestyle? Condition of Home – Are you prepared to do some fix up work? If yes, to what extent – just cosmetic or major systems repair? Can you role any of these costs into your mortgage? If not, can you afford them? Covenants & Restrictions – Do you want to keep a boat in the backyard? Better check to see if there neighborhood restrictions that allow this type of storage. Do you own a large dog? Better check to see if the community covenants will allow you to keep your pet. Before beginning any search I like to consult with the buyer and develop a sound home-search strategy. This includes a discussion of the Buyer’s Agency Agreement and the level of service & commitment they may anticipate. Once we have determined the MUST HAVE elements and developed a list of preferred features we are in a position to search the Charleston MLS database for properties that meet my clients needs. Don’t forget you can search all Charleston, Greater Charleston Area properties by using the advanced property search at www.heatherlord.com. Once you understand the answers to these questions and the amount of home you can afford you can begin your search in earnest. One of the best ways to stay current with new homes coming on the market is to sign up for e-HomeNotice; this program will email you properties each day that meet the search criteria you establish. Well, we've found just the right house (or close to it ... sometimes compromises have to be made), and we are ready to make the offer. At this point it shouldn’t be too nerve wracking as we have done our preparation. The first thing we do is to check the comparable home sales in that subdivision to see if this home is priced fairly, and how it relates to others similar to it that have sold. This CMA (comparable market analysis) tells us the price range of sold properties are in the area, what the average time on the market for them has been, and the average sales price per square foot of the recent solds. We will also want know if the home has been under contract recently and any information about the seller regarding their motivation. This might be an estate sale and the heirs may prefer to sell the property quickly or a bank owned home with additional requirements. All of these factors will influence how an offer to purchase is written. The purchase offer must be complete because when the seller signs it, the document becomes a binding "Sales Contract" - you don't want to omit any pertinent sale conditions. If the Offer is particularly complex it may be necessary and prudent to have a real estate attorney review the document prior to submitting the offer. What Items Convey with the Home i.e., Swing Sets, Refrigerator, Window Treatments etc. Once submitted the seller may accept the offer as is, reject it outright, or make changes and sign it back to you, the purchaser to see if you are willing to accept their changes. The process continues until a deal is agreed upon or negotiations are terminated. Once the Purchase Offer is ratified it becomes a Sales Contract and the buying side really goes into action, arranging mortgage financing, scheduling a closing date / time with a real estate attorney, accumulating documents and data required for the closing. If you have not already done so, you will complete the lender’s application package which will include the necessary instructions and forms. The number of items can be lengthy but timeliness of response is critical. You must provide the seller with a written loan approval and the clock is ticking. Your lender will be busy obtaining: an appraisal of the home you intend to buy, verifying bank deposits, verifying the requirements for hazard/flood insurance etc. In my practice I always recommend that buyers have a professional – licensed – inspector thoroughly inspect the home and provide a written report with accompanying photographs. A well qualified inspector can spot problems that you might not be able to see or recognize as a potential problem. Whenever possible you should be present for the Inspection and you should expect any problems that are identified to be clearly explained. If you are purchasing a home built prior to 1978 you need to be aware of the possible presence of lead based paint in the home. Exposure to lead paint can have serious consequences, especially for infants, young children and pregnant women. By the law the seller must provide you written information about lead hazards and tell you about any known lead paint hazards in the home. You can have a professional inspect for the presence of lead based paint. You should never attempt the removal of lead based paint yourself. You may opt to have the home inspected for other environmental hazards such as Radon Gas, Asbestos or Mold. It may be wise to contact the regional Environmental Protection Agency (EPA) office if you have questions concerning hazards in the area. Depending on the results of the inspections it may or may not be appropriate to prepare a List of Items to be Repaired or a Request for a Repair Credit. These items are required to be submitted in writing to the seller no later than 48 hours following the contract inspection date. Thisis a document completed by a qualified, licensed inspector following an inspection of the home for the presence of termites, other wood –destroying insects and fungi (water damaged wood, rot or decay). The report which is frequently referred to as the CL-100 Letter is required in order to proceed to Closing. In fact the attorney’s office will request the original copy of the report not a photocopy! The Cl-100 Inspection is typically ordered and paid by the seller – although this is not mandated and in many cases buyers prefers to manage this inspection. In fact the South Carolina Pest Control Association recommends that the purchaser of the structure rather then the seller, obtain the Wood Infestation Report. Note: In my practice I always encourage the buyer to hire their own Inspector. In order to pass the title of a property, a deed with a proper description of the land must be executed and delivered. This is where you need a South Carolina Real Estate Lawyer. The State of South Carolina requires that an attorney be present at all real estate closings. 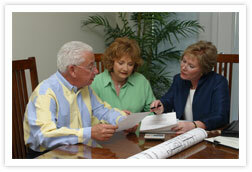 In South Carolina it is customary for the buyer to select the closing attorney. Do not be mistaken by the word miscellaneous, these items are critical if your closing is to go smoothly. If you have selected to have a survey completed you must identify and schedule a surveyor. Again be advised that dates outlined in the contract are critical dates. Select a Home Owners Insurance Carrier… your mortgage provider will require proof of your Home Owners Policy prior to closing. In addition if the property is located within a Flood Zone your mortgage provider will also require you to purchase a Flood Insurance Policy. Arrange for Transfer of Utilities: It is advisable that you have critical utilities (electric, water, sewer) transferred into your name commencing on the day of closing. Utilities may include but are not limited to the following: Electricity, Water, Sewer, Cable, Telephone, Garbage, Gas, Security System etc. Please keep in mind that utility providers may require several days to schedule initiation of your service. You may want to rekey the doors to your new home. If this is desired you must identify a locksmith and schedule this work. If no Home Warranty is being provided you may want to consider the purchase of a policy which will protect various items in the home for your first year of possession following the closing. Differing levels of coverage are available so please read the respective policy carefully prior to selecting the plan that is most appropriate. Ok the day will soon arrive - you are going to be the owner of a new home!! So let’s review a couple of items to ensure the closing goes smoothly. First you will need to know the amount of funds you must bring to the closing table. Many attorneys in South Carolina will request that the funds be wired into their Trust Account prior to the actual closing. In some instances you may be able to bring a Cashier’s Check for the amount required…. Regardless I will make sure you have the required information. Whenever possible you will want to review the HUD -1 – Settlement Statement prior to presenting at the attorney’s office. This provides an opportunity to review all costs and make any necessary adjustments. It is from the HUD-1 that you calculate the amount of money you may need to bring to the closing. Always bring your personal check book so that you can pay any incidental costs. Always bring an official photo ID i.e., A Drivers License as this will be required by the closing attorney. You will want to have your moving plans in place… including the utilities turned on or possibly storage for your household items. YOU MAY WANT TO BRING A NEW RING FOR YOUR KEYS! !